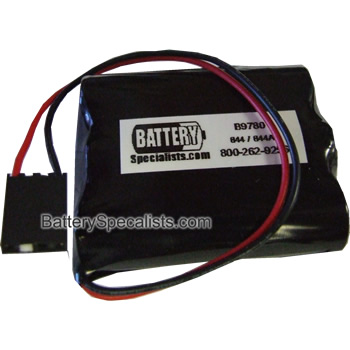 This alkaline is a low cost replacement for most 4.5V alkaline PC/AT clock batteries. This item has 8.5 inch wire leads, 4 pin connector and velcro mount. Maintains clock and configuration memory while machine is turned off. This alkaline battery is a low cost replacement for most 4.5V alkaline PC/AT clock batteries.